This weeks grab bag, Bizarre Adventures #34, special "Hate-The-Holidays" issue (Dear Santa, please note thats the cover blurb, not my personal position. We cool?) 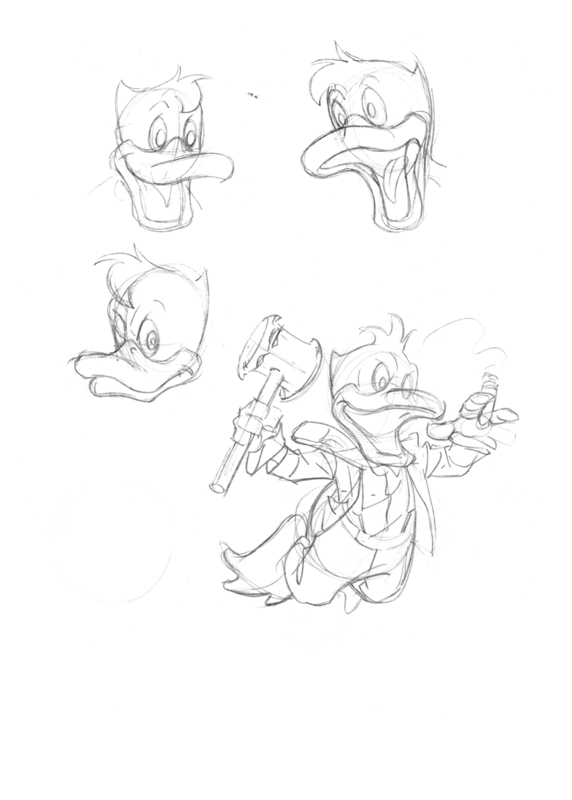 Including, among others, a spoof of It's a Wonderful Life, "Howard the Duck's Christmas," by Steven Grant and myself, starring Howard the Duck as George Bailey and Harlan Ellison as Clarence the Angel. 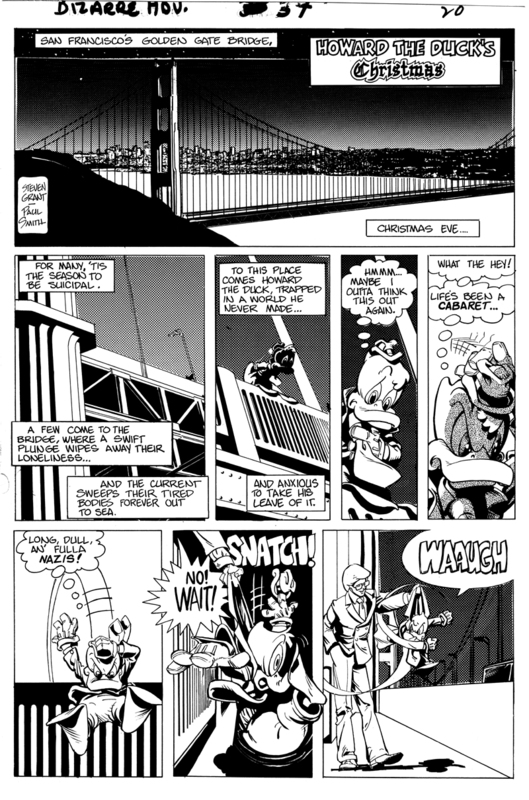 Howard's had all he can stands and he can't stands no more but, unlike Popeye, rather than drown his sorrows in spinach and pummeling Bluto, Howard decides to take a header off the Golden Gate Bridge! Enter Harlan… err, Clarence, who saves Howard and attempts to show him the negative effect his suicide would have on those around him. Let's just say things don't pan out as Clarence expects. This is one of those stories I'd like to have back. One, it's a far better story than I was capable of at the time and, two, at age 29, I was spoofing a movie I'd not yet seen. 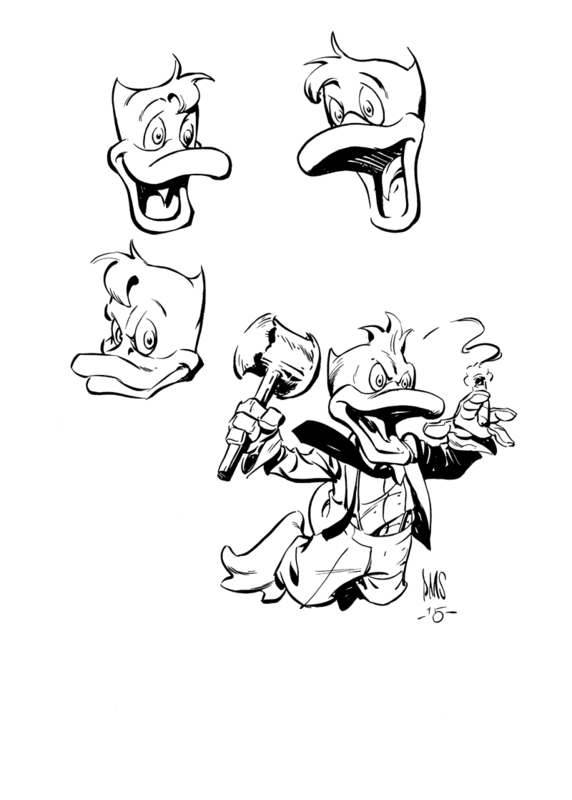 Oddly, for a confirmed brush man, It's almost all pen. The only reason I can think of is I felt I needed to improve my pen work. The lettering is mine as well. Possibly for the same reason as the pen work but, more likely a matter of vanity. I wanted all visuals to be mine. I remember entertaining the idea of coloring it as well but, after a day figuring the color scheme of the two leads (one an angel all in white) I came to my senses and decided to leave that for the pros. 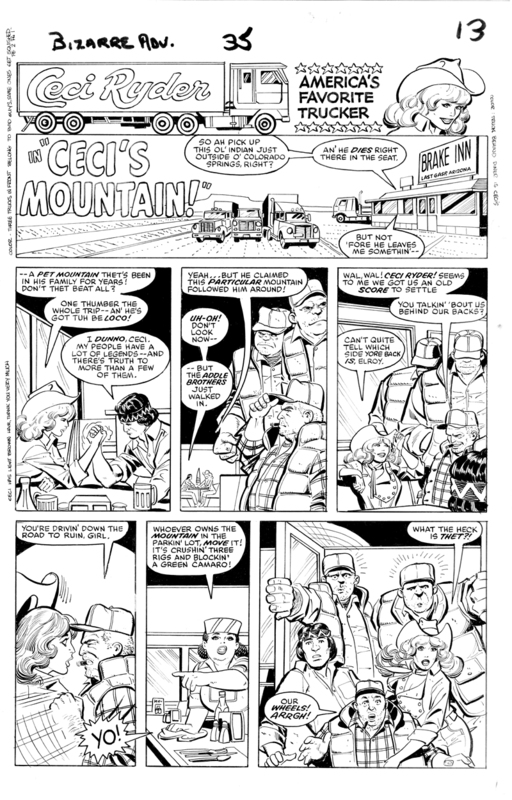 Apropos of nothing other than I found it in the same envelope as the Howard story, I include a page from the unpublished Bizarre Adventures #35, Strange Pets issue starring "America's Favorite Trucker" (I know this because it says so right at the top of the page) Ceci Ryder. Ceci first appeared in a Howard book (also with Steven) where Howard fights the Gopher. Inks, at my request, by Vince Colletta because as inkers go, nobody did a prettier girl than Vinnie. 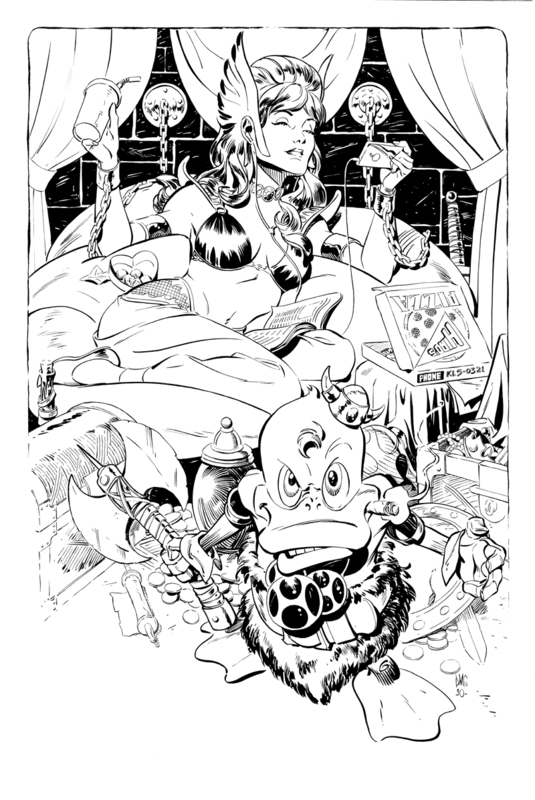 Also included is a Howard Commission for one Malcolm Bourne, Howard the Barbarian because, why not? 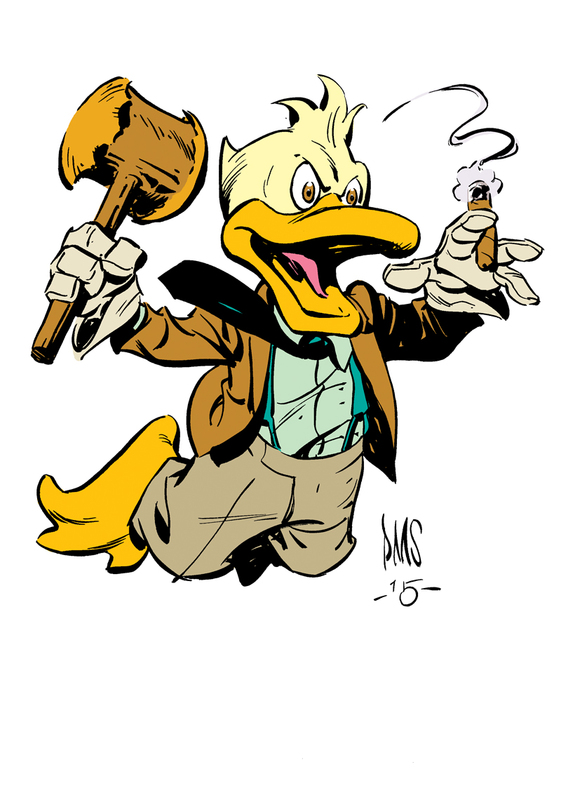 Ladies and germs, Howard the Duck!